At BE Collective we appreciate innovation and sustainability, so it’s no wonder that Cave Urban’s latest project has us excited. 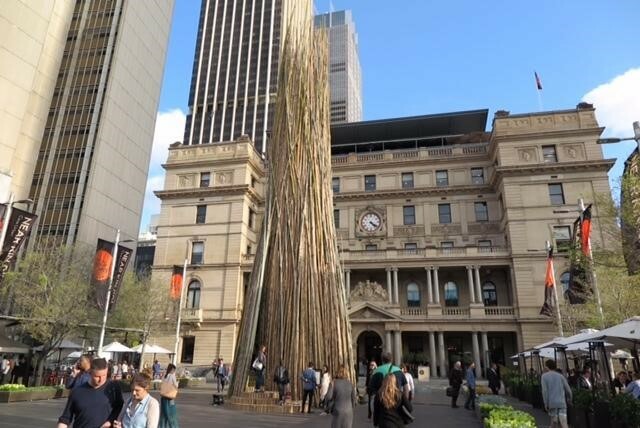 Over the last three weeks Near Kin Kin, a 21 meter high “bamboo skyscraper”, has dominated the forecourt of Customs House Square as part of Art & About Sydney. 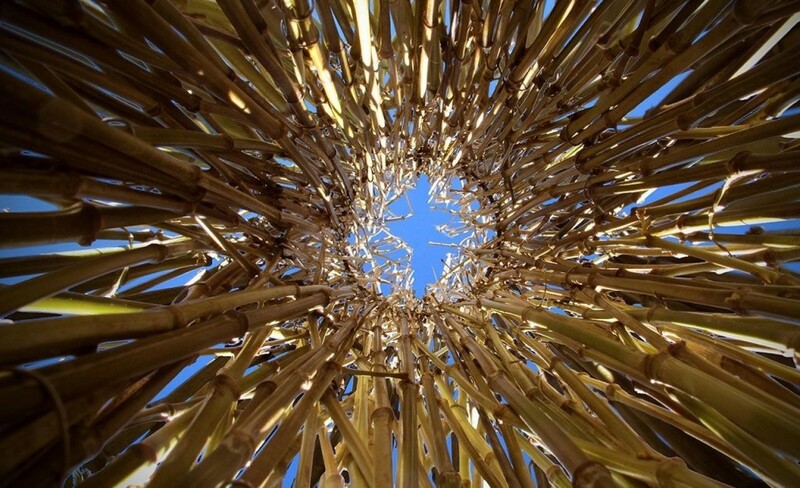 The structure, named after the Sunshine Coast farm that the bamboo was sourced from, took 15 people over 500 hours to build, and comes with a price tag of $90,000. “I think it’s very cheap, it’s a 22-metre high structure. I’d be very surprised if you could make something this large and so substantial for this price” Says Jed Long, an architectural designer for Cave Urban who are responsible for the project. 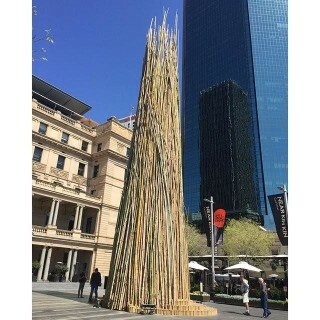 Cave Urban Principal Nici Long expands, “It’s a chance for people to see the sheer scale and beauty of bamboo and its potential as a sustainable building material.” The team plans to recycle all of the materials and resources used, including over 300 pieces of bamboo, for future projects. To check out some other incredible things Cave Urban can do with bamboo, see their website here. 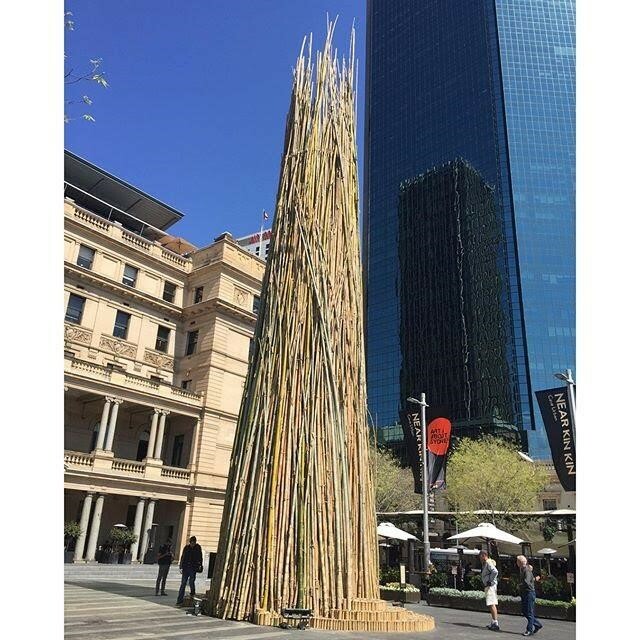 Click here for the Art & About Sydney program.